When is the best time to buy an Engagement Ring in Dallas? Popping the question is one of the biggest events of a lifetime. Proposing isn’t a spur of the moment activity. Before popping the big question, you should invest time into planning out the details and understanding how your life and relationship will evolve. Purchasing an engagement ring isn’t just another shopping trip. It’s an active investment in your future. Your engagement ring shopping experience should allow you to take your time to perfect and find your ideal ring. You may be wondering when exactly the best time is to buy an engagement ring. 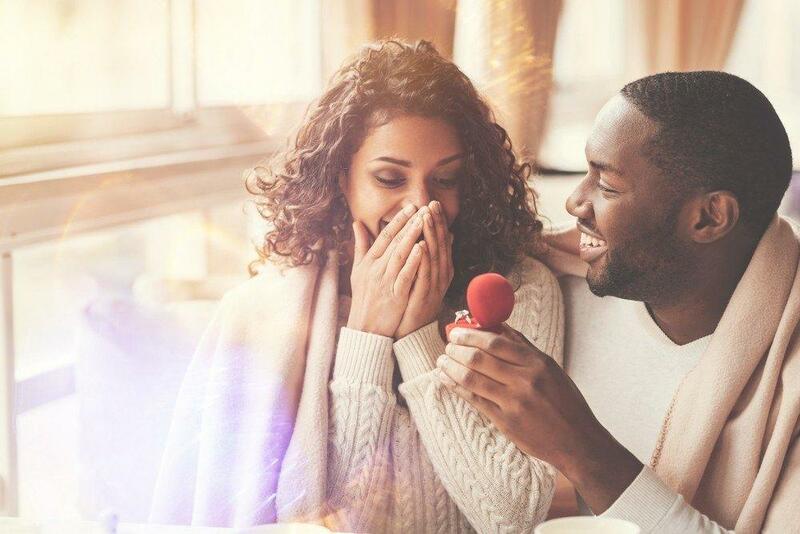 Many couples choose to pop the question around the winter holidays or Valentine’s Day, but those aren’t your only options. Holiday sales can provide great prices, but you shouldn’t rush or delay your plans just to participate in them. Proposing is a huge decision and you shouldn’t plan it around any sale or outside force. It’s an intimate decision that should be made in your own time. There’s only one perfect time to buy an engagement ring: When you’re ready to take that next step in your relationship. It should be done when your relationship has a solid foundation and you’re certain your beloved is the one who you wish to spend the rest of your life with. There’s no way for us (or anyone else) to predict the best time for you, because it’s different for each and every couple. Some couples have magical ah-ha moments. Others prefer to sit down and discuss each step and stage of their relationship. You and your beloved may fall somewhere in between. There’s no wrong way to go about it. Each relationship is as unique as the people it involves. After you decide it’s time to propose you may wish to plan your engagement ring hunt around your hopeful wedding date. If you’re not positive about the date and wish to discuss it further with your partner you may consider which season you’d like to be married in and coordinate your shopping experiences accordingly. While we can’t predict the best time for you to propose we can provide some helpful tips for engagement ring shopping when the time is right. If you’re already planning your proposal you likely know where and when you’d like to pop the big question. If you’ve already arranged travel plans or reservations the engagement ring will need to be ready in time. You need to plan your engagement ring shopping accordingly. This is extra important if you’re considering a custom design. It’s important that you allow at least six to eight weeks for the design and purchasing of a custom engagement ring. Don’t plan the perfect proposal getaway and only leave two weeks for the engagement ring shopping! If you make this common mistake you may end up with an engagement ringless marriage proposal. Don’t shop during the busiest shopping times of the year. It’s tempting to shop for an engagement ring during Black Friday sales, but don’t fall prey to this trap. Also avoid Memorial Day shopping and shopping in the weeks just following Thanksgiving. If you really want to get your shopping started during one of these times, go online and browse collections at your leisure. This will allow you to get a good idea of the ring you’re looking for. If your need an engagement ring ASAP consider pre-set designs. Love and marriage proposals don’t always happen at ideal times. If you just have to buy an engagement ring NOW look into pre-set engagement rings. Pre-set designs are already set with a center diamond. The downside is that you won’t be able to choose a center diamond or be that picky about the details of the stone. Pre-set engagement rings come in all price ranges and carat weights. These are a lifesaver when you need to buy an engagement ring immediately. 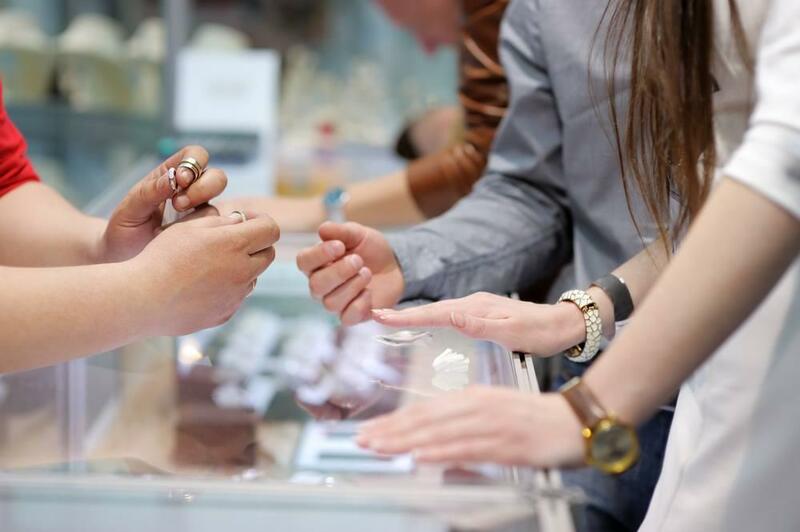 Before you ever step foot in a jewelry store you should know your budget. An engagement ring doesn’t have to set your back or put you in a finical black hole. Buying an engagement ring is an investment in your future, but its price shouldn’t make your finical future look bleak. Diamond engagement rings can be found within any budget with careful planning. It’s perfectly acceptable (and common) to take some time and save up before you buy an engagement ring. You may also wish to look into payment plans. Before doing this, you should assess your monthly budget and see what you can really afford to pay. Don’t fall for gimmicky sales or settle for a ring you don’t love. At the end of the day you’re the only one who can decide the perfect time to pop the big question. Let your heart guide you, but be sure to consult your budget along the way!